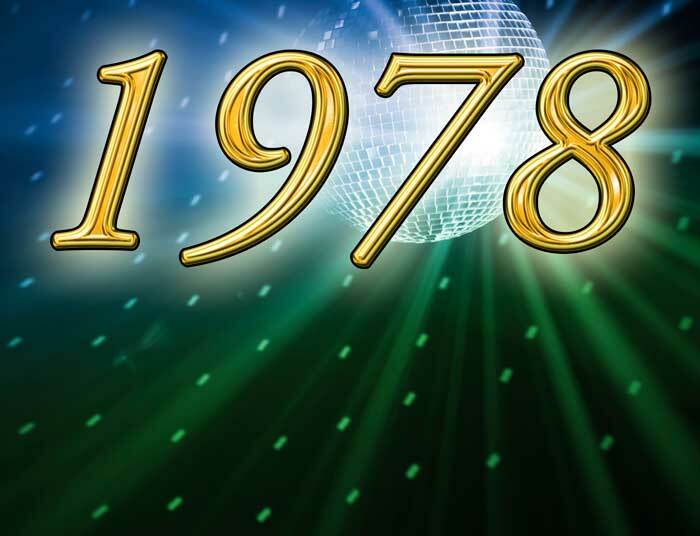 It was August of 1978. A couple of young marketing and advertising creatives decided to quit their jobs and start their own agency. Not to get rich and famous. But to do things their own way in their own laid-back style. Not to get big and complicated. 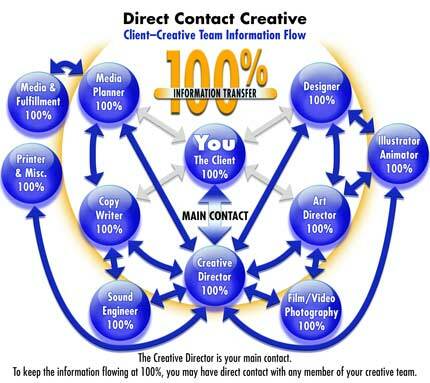 Experience the magic of working directly with the client as a valued member of the team. Imagine the creative freedom without the encumbrances of account executives and without layers upon layers of organization to get in the way of truly great ideas. 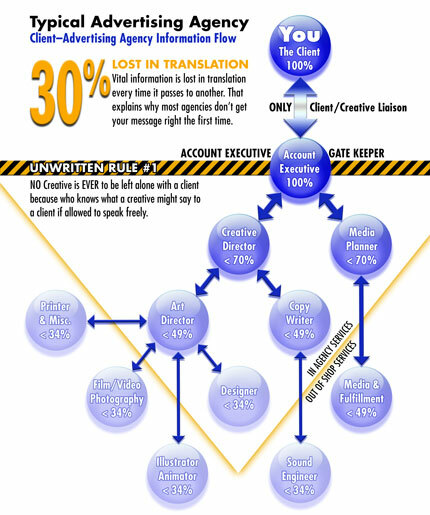 All of which sounds logical–but is about 180 degrees away from how agencies traditionally work. Everyone else I have to push forward, except for you...But you guys, I have to reign you in. — Hugh Ervin, CEO, Seis Pros, Inc.
At ADS & PR, Direct Contact Creative explodes the usual barriers to the purest communication between agency and client. Our client partners talk, and the people actually doing the work listen. Just think of how liberating and empowering it can be! There are no intermediaries to muck up the translation of messages. And no superfluous middlemen to lengthen the process and pad the bill. When you come to ADS & PR, you’re not in Kansas anymore, Dorothy. ADS & PR is the BIGGEST little ad agency around. Our clients range from large multinational corporations to small entrepreneurial businesses on the fast track up. Over the years, projects have led our creative teams from steamy swamps to the frozen Arctic Circle—and just about everywhere in between. ADS & PR’s unique style of marketing specializes in capturing the essence of your company, and is reflected in hundreds of client success stories over the years. Our client partners are located all over the globe, and our work is seen worldwide. ADS & PR is among Houston’s most award-winning advertising agencies. In the past, we’ve entered lots of competitions and walked away with more than our share of trophies and kudos. Recently we’ve been too busy with our clients’ work and with life in general to do the “Show Thing.” Call us jaded, but we’ve been too busy to hang our awards in our new office. If you’ve just got to see them, just ask us. The boxes are neatly stacked in the back. With ADS & PR, you get the whole enchilada: creative concept, design, copywriting, marketing research, media planning, strategies, and branding. We create and execute marketing messages that literally reach out and grab the attention of our clients’ target audiences. We’ve done it all—from helping with road shows to building the world’s largest margarita according to Guinness Book of World Records. We’re not afraid to approach unconventional problems with unconventional solutions. Our website is very interactive, but after a few seconds just clicking around on it, you will be navigating it like an old pro. So click, mouse, and scroll away! OUR WORK Hi-Resolution Slideshow w/Description – Is a screen filling tour of our work. The logo and menu bar fade away after a few seconds, giving you the biggest view possible. Don’t worry, it comes right back up when you scroll over the left side of the screen. TOGGLE SCREEN ICON gives you the full-uncluttered view immediately, and also brings the menu back just as quick. 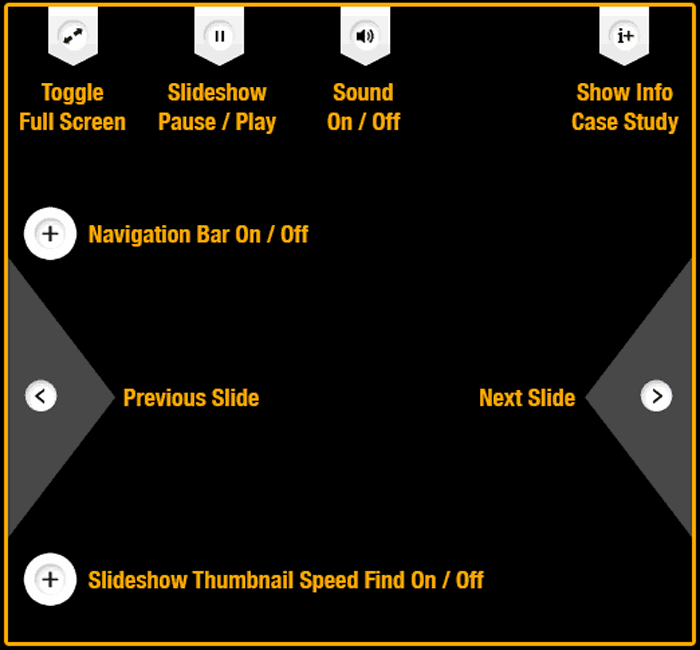 PAUSE/PLAY ICON lets you pause on any slide, and also starts the slideshow again when you are ready. SPEAKER ICON allows you to play the background music. By default, it is OFF. i+ ICON gives you insider information about the creative and marketing thinking behind the images and campaigns. Insider information is available for slides showing the i+ ICON. + ICON on the LEFT MIDDLE turns the NAVIGATION BAR ON/OFF. + ICON on the LEFT BOTTOM opens SLIDESHOW THUMBNAIL SPEED FINDER so you can get where you want without waiting. < ICON on the FAR LEFT let you repeat a slide or backup slide by slide. > ICON on the FAR RIGHT skips forward to the next slide. TOP NAVIGATION BAR lets you quickly get to the work, we have done in your industry or similar industries. For your next marketing, advertising, or public relations project eMail us or give us a call at 713-851-6422. © 2013 ADS & PR Corporation. All rights reserved.